Bob Simon, Veteran Of CBS News And '60 Minutes,' Dies In Car Crash : The Two-Way Decorated journalist Bob Simon, a correspondent for 60 Minutes known for his insightful reporting from far-flung spots around the world, has died in a car crash in New York City. He was 73. CBS News correspondent Bob Simon, seen here in New York City in 2007, won four Peabody Awards and 27 Emmys in a long and distinguished career. Decorated journalist Bob Simon, a correspondent for 60 Minutes known for his insightful reporting from far-flung spots around the world, has died in a car crash in New York City. He was 73. Simon was a passenger in a town car on Manhattan's West Side on Wednesday evening when the car hit another vehicle and then crashed into a pedestrian median, according to local media citing police. "Simon covered 35 overseas conflicts and he nearly paid the ultimate price many times. In addition to several short detentions, wounds and other close calls, he was imprisoned for 40 days by Iraqi forces during the opening days of the Persian Gulf War in 1991." Simon has said his captivity in Iraq changed him, as he and a news crew were beaten and starved. But it didn't slow his momentum as he found and reported international stories. Consider his longtime voice mail greeting, quoted by CBS News: "I am out of the office and may be for months ... "
In his career, Simon won many prestigious awards, including 27 Emmys and four Peabody Awards. After early stints in academia and with the U.S. State Department, Simon began to work in journalism in 1967, when he was hired by CBS News. He worked for the network for the next 47 years. "Bob Simon really came of age in an earlier era," NPR's media correspondent David Folkenflik reports, "when networks were expected to cover the world authoritatively, extensively, thoroughly — and understand it. And Simon did so, by being almost everywhere: by being in Vietnam; in the Middle East; Poland when it was declared under martial law. "By witnessing the nature of conflict and crisis," David says, Simon brought "an understanding both for himself and for his viewers." 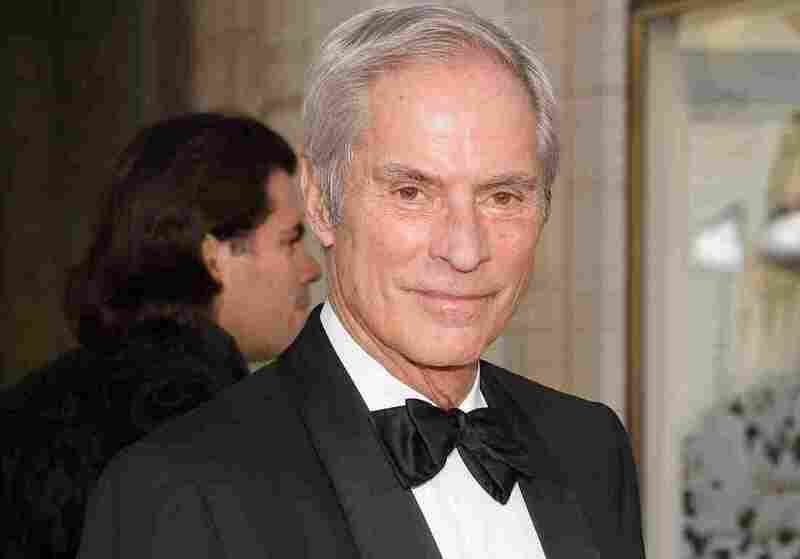 "Bob Simon was a giant of broadcast journalism, and a dear friend to everyone in the CBS News family. We are all shocked by this tragic, sudden loss. Our thoughts and prayers are with Bob's extended family and especially with our colleague Tanya Simon." Tanya Simon is the late journalist's daughter. He's also survived by his wife, Françoise, a son-in-law, Dr. Evan Garfein, and a grandson, Jack.